Bianca is a grade three student who I introduced to blogging last year. She is definitely a success story, having produced weekly posts on BB’s Awesome Blog for a year and a half now. That’s 86 posts! Her success is partially due to the fabulous support of her family. Bianca has a solid following from teachers and students around the world and she replies to each and every comment. 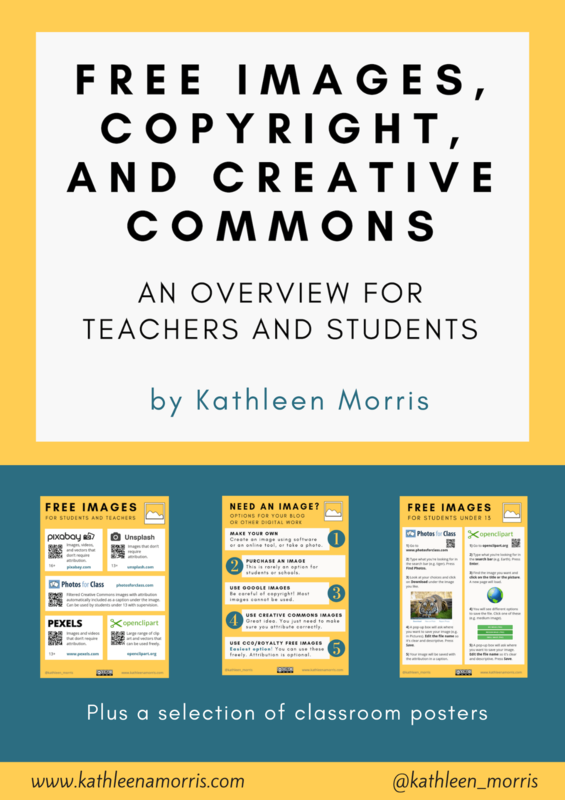 She is confident at sourcing and attributing creative commons images for her blog posts, and her literacy skills have progressed rapidly since she began blogging. Bianca comes up with many quirky and interesting topic ideas and she is a very reflective young girl. This week, Bianca experienced a highlight in her blogging career. She wrote a post called Can’t Put Down Books. Not only did this post receive 52 comments but there was one extraordinary comment. In her post, Bianca described her favourite book, Alice-Miranda by Jacqueline Harvey. What a surprise for Bianca when she received a comment from author, Jacqueline Harvey! I was squealing with joy that you wrote on my blog I had to call my mum in and tell her. Thank you, Jacqueline, for creating an experience that this nine year old girl will probably remember for the rest of her life. This is another example of the power of blogging; I can’t imagine a classroom without it! What are your blogging “memorable moments”? I agree, Ross, and what a great person Jacqueline is to take the time to write! What a squealingly joyful experience for Bianca! I love her comment back to Jacqueline. 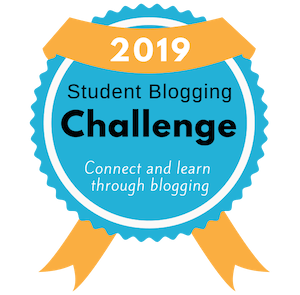 Nicole’s contest, the responses from other teachers, and my students’ thrill in joining a conversation made us jump in with both feet into the blogging world. That will always be my first memorable blogging moment with students, but, like Bianca experienced, it may not be the best! Wow, thanks for sharing your story. What a powerful experience. I love those 5 Cs you mention too. Create, contribute, connect, collaborate, curate! What an absolutely fantastic story! I can imagine Bianca squealing with joy as well 🙂 That is a lovely post to start my day and I can only imagine the joy it brought to her. What a lovely teacher and writer Jacqueline is and what a fantastic blogger BB is. I know Bianca enjoyed working with you when you were in my classroom last year. Thanks for leaving a comment on her blog! Hi Kathleen – What an authentic learning experience for Bianca! And a big pat on the back to you too! Thanks so much! Seeing things like this is really encouraging for me too. You know, you put a lot of work in and then these moments pop up where you know it was all worth it! Are you back teaching or still on family leave? That’s a really lovely story – Mr E from Hawes forwarded it to me, I guess because he knows how much I love it when children are inspired by the blogging world! We have been following a blog called Bikeabout, written by two cyclists who are cycling from New Zealand to England (http://www.bikeabout.co.uk/) We have followed their exploits via the blog, used our atlases and Google maps to follow them, raised money for their cause and sent them questions about where they are as they go (to which they always reply in detail, despite their hectic schedule). On their last reply, they mentioned that they would like to visit our school when they return to England – which was greeted with howls, cries and spontaneous cheering as they now have legendary status in our class for their awesome adventurous spirit. I just find it amazing that the blog has allowed me to make such unexpected and enriching connections around the world – it opens up a whole new dimension to teaching, and in A Room with a View, WE LOVE IT! Thank you for sharing such a lovely story. It is wonderful when online and offline worlds can collide. It sounds like you have a fabulous community in your classroom and like me, I bet you can’t imagine a classroom without blogging now! Thanks for sharing this! I started blogging with my 2nd graders this year and I have already seen an improvement in their writing skills. It makes a difference when they know their family, their friends, and other teachers will be seeing their work! @ Mrs Morgan – that is terrific! Thanks for letting me know!